There are seven upstairs bedrooms, all with en-suite shower rooms, offering a mix of double, family, twin and single accommodation. There are two downstairs bedrooms, one double and one king size, the double has an ensuite shower room, the king size has access to the family bathroom. 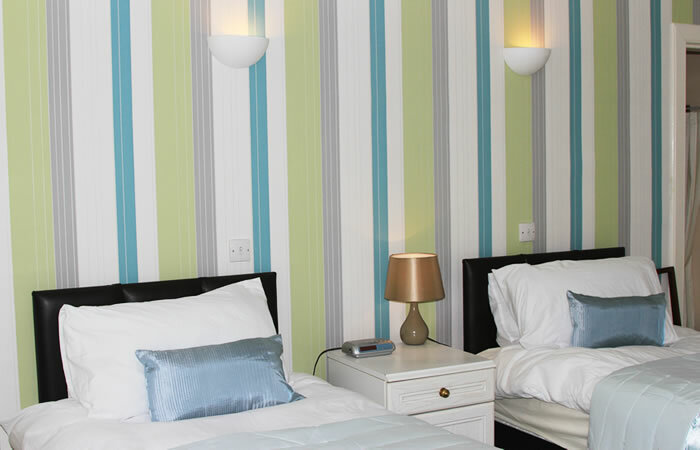 All rooms have central heating, colour TV, hospitality trays and hair dryers, and have recently been decorated with their own style and character. 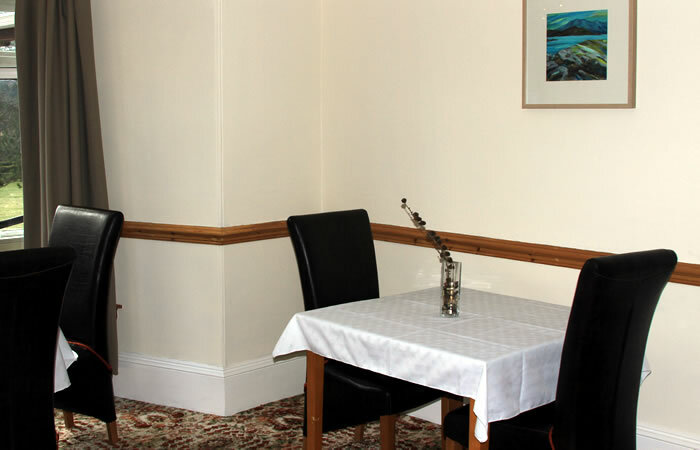 Where required, we can provide a cot and/or an additional folding bed for use in the family rooms. Well-behaved pets are welcomed but please make sure that you bring your pet's bedding with you. However you spend your day, our downstairs rooms are designed to ensure you relax for the evening. There is a sun room where you can enjoy the sunshine and the views even when it might be chilly out of doors. The lounge with open fire is a television-free zone to allow you to relax with a drink either before or after dinner. The lounge also has a good selection of games, books and maps for guests' use. The house has an elevated position in the village and there are open mountain views all round. When the weather is fine, guests can relax outdoors in the garden. There is also a drying room and an equipment store for your golfing clubs, walking boots, skis etc, plus lockable garage space for cycle storage if required, and with an acre of grounds, there is ample parking on-site for guests' exclusive use. A quiet room with no television in which to enjoy a book from our packed book shelf or a dram from our small but well stocked bar. 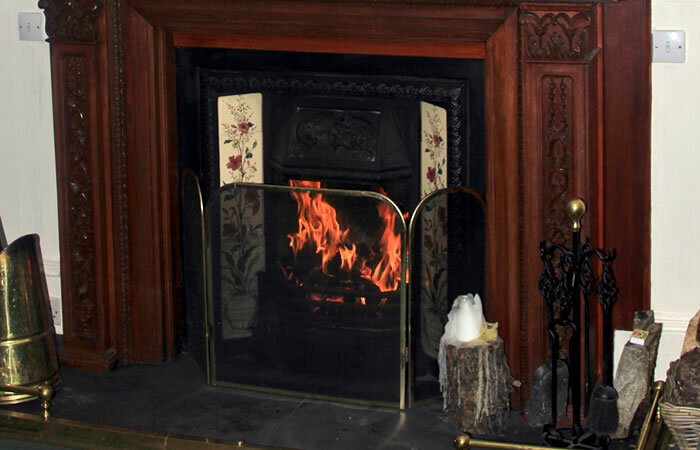 In the colder months sit beside the open fire. There is also a selection of board games available. Large TV with Sky Sports package and seating for eight. Direct access via patio doors to the back garden. A large bright room with seating for up to 20 people. There is a bar area at one end and a bay window offering views over farm land towards the hills. Alvey has two adjacent kitchens. The main kitchen has a fridge and freezer and ample storage. All cutlery and crockery is supplied. The electirc double oven and five ring gas burner cooker should be sufficient to prepare your meals but if not there is a further cooker in the smaller breakfasting kitchen with seating for 4-5 people. There is also further fridges and freezers and two dishwashers in the breakfasting kitchen. Alvey is set in a large garden with lots of room to sit and relax in the sun (if it appears).